Chicago Bears vs Los Angeles Rams Picks, Predictions and Betting Tips for the Sunday Night Football battle at Soldier Field. Can the Bears bounce back from their loss to the Giants’ last week? Or will the Rams’ high-powered offense be too much for Chicago’s #1 ranked defense? Read on for all of our free NFL tips! Please check your betslip matches the predictions shown, as handicaps, lines and totals can change. This week’s edition of Sunday Night Football should be a treat, as we have one of the best offenses in football in the Rams travelling to Chicago to face one of the best defenses in football in the Bears. A win for Chicago would be huge for extending their lead in the NFC North, while a win for the travelling Rams would help them secure a first-round bye and possibly home field advantage throughout the NFC portion of the playoffs. The hosts come into this one with one giant question: Who will be taking the snaps under center? 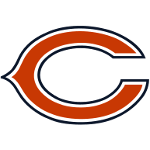 Mitchell Trubisky, their second-year franchise QB, has missed the past two games after suffering a shoulder injury against the Vikings. Backup QB Chase Daniel was great filling in on Thanksgiving but really struggled last week against the Giants. If Trubisky isn’t able to start, then the Rams could run away with this one. But for now it does seem like Trubisky will be starting under center, which provides the Bears with a dynamic threat to help supplement their running game. Speaking of the Rams, they come into this contest fresh off an impressive 30-16 win over the Lions. 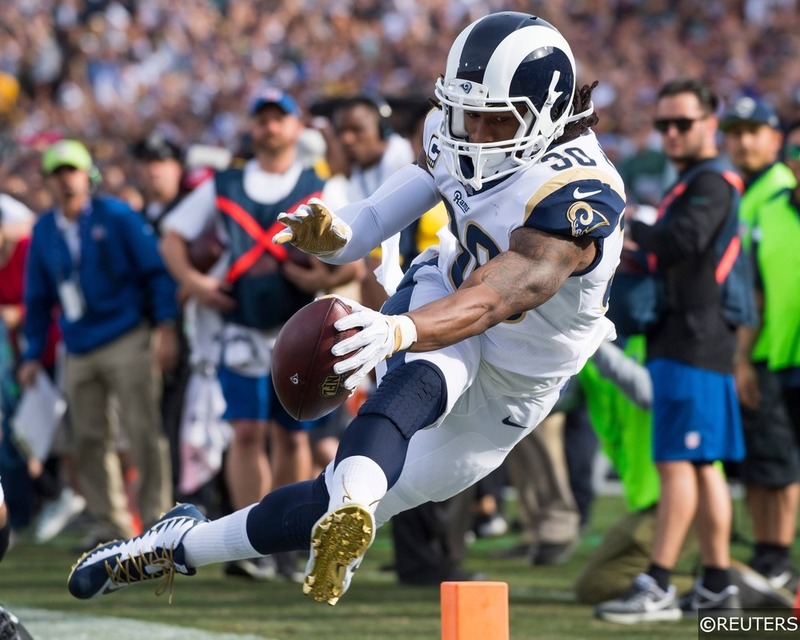 RB Todd Gurley led the way with 132 yards on the ground and 2 TDs, which helped picked up the slack from an underwhelming performance form QB Jared Goff. Goff didn’t have a great outing as he completed just 17 of his 33 passes for a little over 200 yards, which included both a TD and an INT. The LA defense played well, picking up two turnovers and limiting Detroit to just 16 points. After looking at this matchup, we think there is tremendous value on the over on the points total. It has dropped over 2.5 points since the line opened up either because of the cold weather or the fact that the Bears have the best defense in football. But neither of those factors really matter for this contest. As good as the Bears’ defense has been, they have been showing some cracks the past few weeks as they’ve given up an average of 22 points over their last four games, including giving up 30 to the inconsistent Giants last week. This number isn’t very concerning, but it is more to prove a point that even mediocre offenses can put some points up on even the best defenses in football. And the Rams certainly are much better than mediocre, in fact they have the 2nd ranked offense according to DVOA and have scored at least 30 points in 10 of their 12 games this season. We think this game will turn out a lot like the Patriots/Bears game in which the Pats came out victorious at Soldier Field by a score of 38-31. The Rams will get to at least 30 and on the other side, they will give up close to that number with their struggling defense. Chicago has a very dynamic running game and should be able to expose a Rams’ defense that is ranked 25th against the run according to DVOA. Chicago has scored 25, 34, 24, 31, 48, and 24 in their past 6 home games and we think they will chase 30 points as well in this one given their success at home. For the points total, we have to side with the Rams as they have the more reliable offense and the better quarterback. 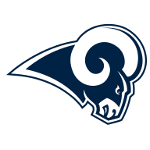 This game should be a shootout and we think the Rams will be able to score more consistently due to their superior quarterback play, great running game, and superior coaching. The Bears will keep up for most of the game but eventually the Rams should pull away with this one. In their last 10 meetings, each side has won 5 of the games but Chicago has the slightly better ATS record in those games at 6-4. The O/U is 4-6 in these past 10 meetings with the average combined score totaling around 43 points. Los Angeles is 1-3-1 ATS in their last 5 games, but 11-1 SU in their last 12 games. The total has gone under in 4 of Los Angeles’ last 6 games on the road. Chicago is 5-1 SU and ATS in their past 6 games, including a 6-1 ATS run in their last 7 home games. The total has gone over in 4 of Chicago’s last 5 home games. QB Mitchell Trubisky (shoulder), RB Benny Cunningham (ankle), and CB Sherrick McManis are all listed as questionable. Trubisky is expected to tough it out and suit up for the Sunday night contest, but an official injury update will be released following the Bears’ practice on Wednesday. CB Aqib Talib has returned from IR and played limited snaps last week. RB Malcolm Brown is out indefinitely with a shoulder injury. Please check your betslip carefully before placing a bet, handicaps, lines and totals can change!